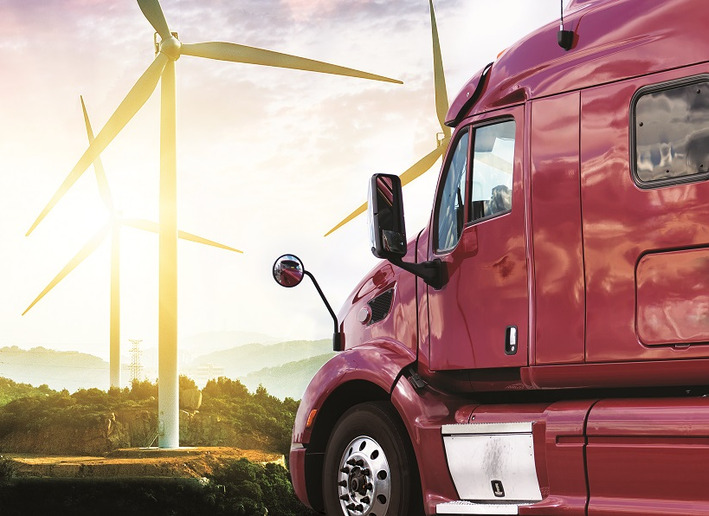 The Top 50 Green Fleets of 2018 take sustainability to the next level – through fuel economy, freight efficiency, alternative fuels, energy savings, and more. We see more fleets focusing not only on fuel efficiency and alternative fuels, but also on larger measures such as freight efficiency and shrinking their carbon footprint. For instance, if you can spec equipment or use data analytics or work with your customers to reduce the amount of empty space you’re using fuel to haul around, that’s improved freight efficiency. Companies are looking at reducing not only the carbon footprint produced by their equipment, but also by their facilities by installing energy-efficient lighting, solar panels, and even wind turbines. How do we choose our Top Green Fleets? We comb through nominations as well as the press releases from the past year and the stories we’ve run. We look at all sizes and types of fleets, as long as they operate some heavy-duty trucks – for-hire, private, or government; large or small; on-highway or vocational or local delivery. What makes a Top Green Fleet? I’ll admit, it’s a subjective decision. We don’t have any sort of complex greenhouse gas measurement like the EPA does. We look at long-term commitment to sustainability, but also pay special attention to new initiatives. We look for companies that are acting as leaders in their industry, promoting fuel efficiency and alternative fuels, participating in pilot projects and testing new technologies. The following 25 companies are the ones we’ve identified as this year’s leaders. They are presented in alphabetical order. 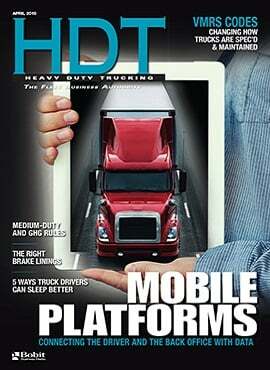 Think your fleet has what it takes to be an HDT Top Green Fleet? Drop me an email at dlockridge@truckinginfo.com outlining why, and we’ll put you in our selection process for next year. A. Duie Pyle’s last-mile division is using diesel-electric hybrid trucks in New York City. The regional less-than-truckload company operates more than 1,000 vehicles. It’s building green facilities, like the one that opened in the Bronx in January using 100% LED lighting, with tube lights in shops and break rooms harnessing natural sunlight. Radiant-heat flooring and motion-activated lighting in older facilities reduce energy costs. On trucks, cruise control is integrated with collision mitigation systems, saving fuel along with automatic tire pressure inflation systems, aerodynamic skirts, auxiliary power units, and 11L and 13L engines. The company recycles all of the oil used in its trucks and equipment and recycles 80% of the water used when washing trucks. 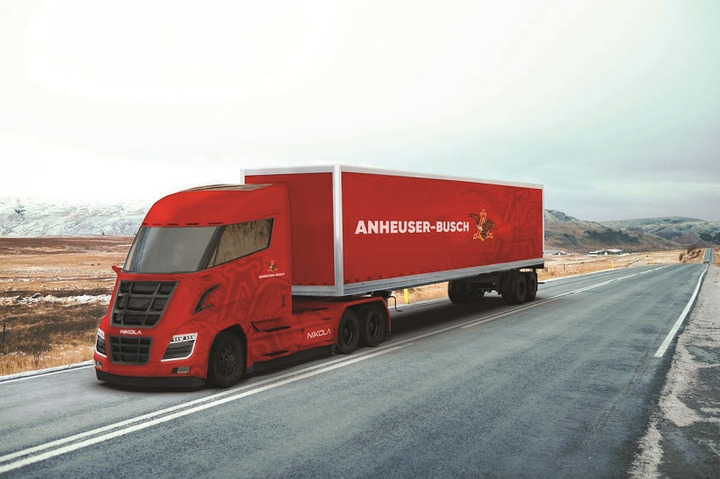 Anheuser Busch says it will convert its entire dedicated fleet to renewable power by 2025. 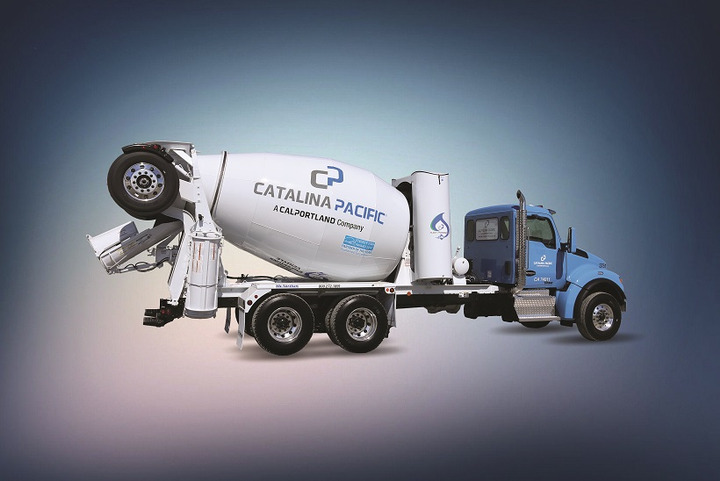 Catalina Pacific is using near-zero-emissions natural gas engines in concrete mixer trucks. Catalina Pacific, a CalPortland company, recently deployed 118 heavy-duty concrete mixer trucks in greater Los Angeles equipped with Cummins-Westport’s near-zero-emission engines, which achieved at least a 90% NOx reduction over the current federal heavy-duty on-road engine standard. These near-zero-emissions engines are powered by Redeem, Clean Energy’s renewable natural gas. The company says it has made the largest investment in near-zero-emissions technology within the U.S. concrete industry. The City of Long Beach set up a Battery Electric Vehicle Task Force and is transitioning as many city vehicles as possible to electric. The City of Long Beach Fleet has an aggressive Green Fleet Program and is currently focusing on electric vehicles. A Battery Electric Vehicle Task Force, founded in 2017, in 2018 formalized a BEV policy to guide the transition of all possible city vehicles to electric. 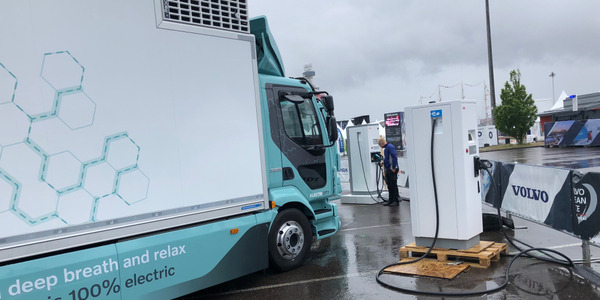 It will be the first municipality in the country to get XL’s new hybrid pickup trucks, and recently hosted an event to educate city employees about electric vehicles. Natural gas is still on tap as well, and Long Beach recently received the first of five CNG hybrid aerial trucks. In 2017, it opened an on-site $3.9M time-fill CNG station, which fuels up to 100 heavy-duty vehicles. 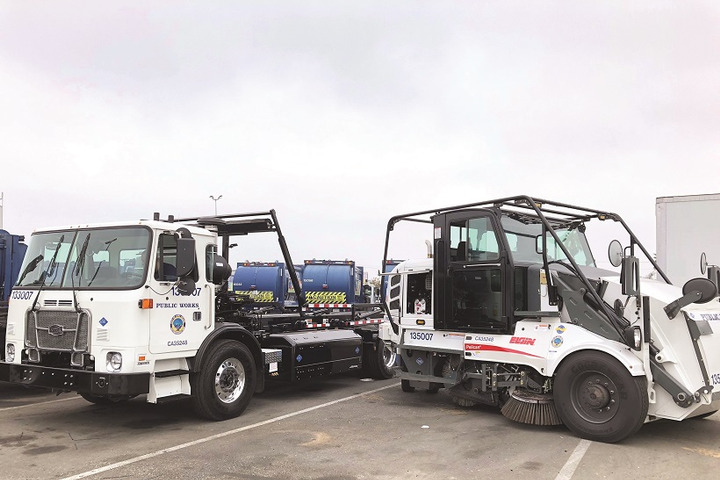 The city is transitioning its refuse and street sweeping fleet entirely to CNG, and it says it had the first municipal refuse truck in the nation with the Cummins ISL G Near Zero engine. In the works is a comprehensive Green Fleet Policy covering all aspects of building and maintaining a green fleet. 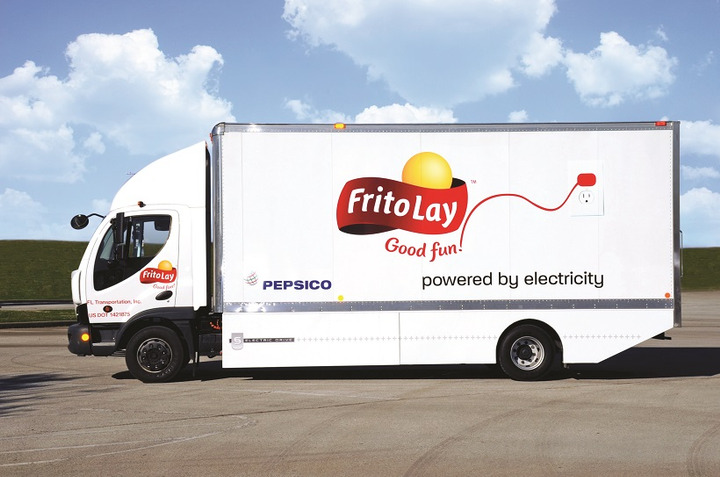 Electric, natural gas, propane, and fuel-efficient diesel trucks are all part of Frito-Lay’s fleet. This PepsiCo subsidiary runs nearly 17,400 light-, medium-, and heavy-duty vehicles. Among those are 618 heavy-duty natural gas powered trucks, as well as 144 battery-electric medium-duty trucks and 118 medium-duty propane trucks. It also employs strategies such as low-rolling-resistance tires, improved aerodynamic design on trucks and trailers, synthetic fluids, engine downsizing, and idle shutdown. FLTI also uses GPS/telematics systems to optimize performance with scorecards for idling, route optimization, fuel economy, speeding, and harsh braking/acceleration. G&D Integrated is a big biodiesel booster and recently worked with the Illinois Soybean Association on a video about its benefits. 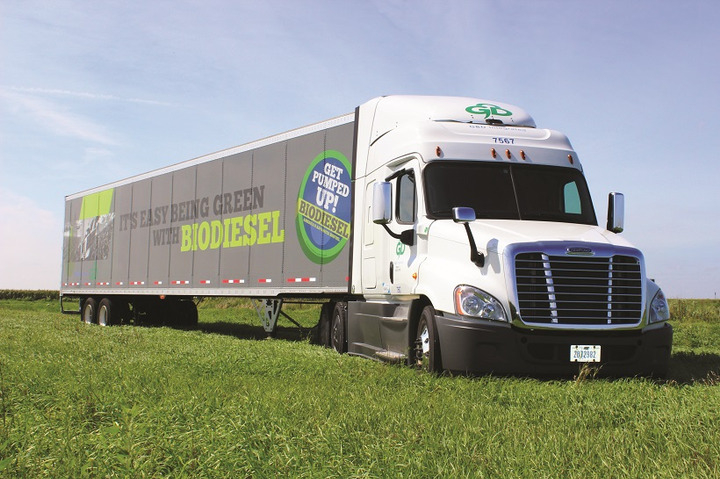 It’s all about biodiesel for G&D, which provides transportation, freight brokerage, contract logistics, and supply chain services, with about 450 vehicles. The company is an inaugural member of the B20 Club, a group of Illinois-based organizations with strong commitments to run fleets on biodiesel blends of 20% or more. It recently worked with the Illinois Soybean Association on a video about the benefits of biodiesel. Over 66% of the fuel G&D uses in its Illinois fleets is biodiesel, in excess of 1.6 million gallons annually. This results in the reduction of 1,200 pounds of particulate matter per year. Giant Eagle is working to expand its compressed natural gas powered fleet. Giant Eagle Inc. is one of the nation’s largest food retailers and distributors. It was an early adopter of EPA 2010 emissions trucks in 2007, and in 2011 unveiled its first two compressed natural gas fueling stations. Today the grocery chain has a total of 121 compressed-natural-gas vehicles, 63% of its total distribution fleet. The company is working with the Pennsylvania Department of Environmental Protection, Kenworth, and other partners to expand that CNG fleet by an additional 20 tractors, powered by the Cummins Westport ISX12N compressed natural gas engine. Hirschbach Motor Lines specs a very lightweight and fuel-efficient tractor and trailer. 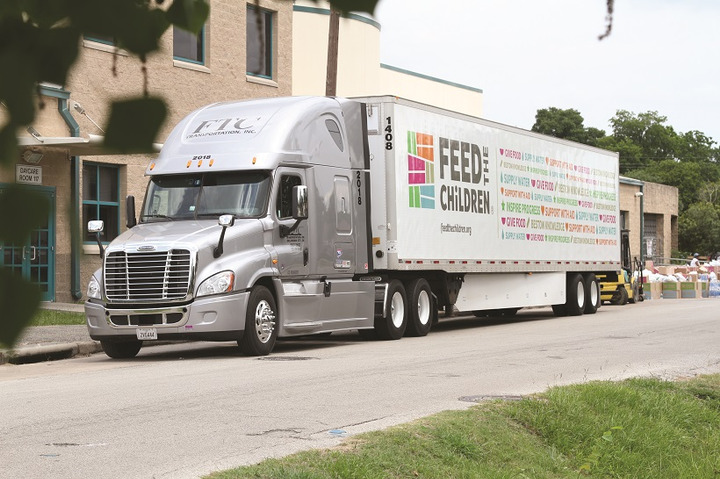 With 1,500 heavy trucks, the for-hire carrier has earned the EPA SmartWay Excellence Awards three years running and was the 2017 Food Logistics Green Fleet. It was a participant in the 2017 Run on Less fuel-efficiency demo put on by the North American Council for Freight Efficiency, and Operations Support Manager John Vesey is on NACFE’s Technical Advisory Committee. Hirschbach specs a very light and fuel-efficient tractor and trailer able to carry more freight per gallon of fuel. The late-model equipment is equipped with aero packages, APUs, Flow Below aero tandem fairings, and Eco Flaps. Hirschbach recently added skirts and aerodynamic mudflaps to trailers as well. Drivers are incentivized to reduce idle, stick to optimized routes, and fuel at biodiesel-friendly vendors. Last year it tested solar on reefer trailers and tractors, a new oil for increased lubricity and heat exchange, and automatic-deploying trailer boat tails. M&M Cartage has been honored for its green efforts by the Kentucky Clean Fuels Coalition. Last year, M&M was named Greenest Freight Fleet (Under 500 Trucks) of the Bluegrass by the Kentucky Clean Fuels Coalition. Out of nearly 200 trucks, 92 are powered by compressed natural gas, and it expects to reach 100 by the end of the year. In partnership with Kentuckiana Clean Fuel, M&M operates CNG fuel stations in Louisville and Sharonville, Ohio. The company is on its fifth year of calculating greenhouse gas emissions using the Greenhouse Gas Protocol and reporting those emissions to the Carbon Disclosure Project. In 2017, its tractors traveled 20.95 million miles, 32% of those using CNG, up from 25% the previous year. M&M Cartage’s campus uses LED lighting, geothermal heating and air-conditioning, radiant floor heating, and other energy-efficient measures. It’s adding solar panels with the goal of becoming a net zero energy and zero landfill facility. 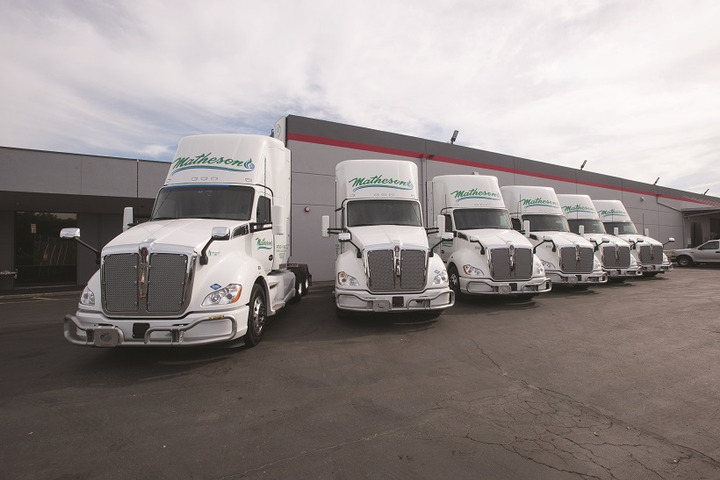 Matheson Trucking plans to use all-CNG tractors to execute a large new four-year postal contract. Out of 245 vehicles, this U.S. postal contractor runs 70 powered by natural gas, 12 of those liquefied natural gas and the rest CNG. It plans to use all-CNG tractors to execute a large new four-year USPS contract, which extends across the West Coast. Matheson has converted 780,000 gallons of diesel per year to natural gas. In addition, its maintenance department dedicates considerable attention to managing and reducing waste streams, recycling used oil, filters, antifreeze, parts washer solvent, spent batteries, and scrap metal and tires. Meijer says it’s the first retailer to earn the EPA’s SmartWay Excellence Award as both a shipper and a carrier at the same time. Meijer says it’s the first retailer to earn the EPA’s SmartWay Excellence Award in two categories simultaneously — as a shipper and a carrier. 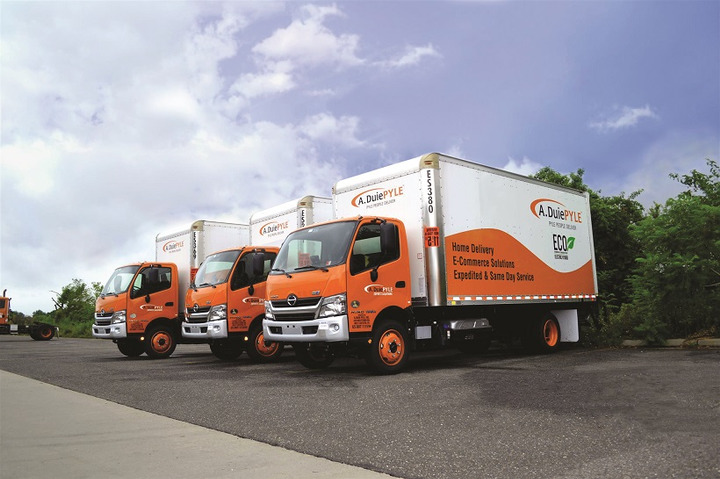 The grocery chain operates a fleet of 220 trucks and has long been an early adopter and a manufacturer test fleet. 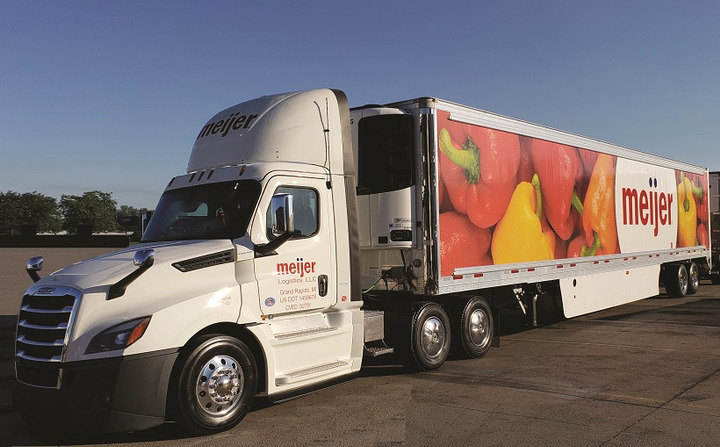 Meijer says it was the first fleet in North America to operate EPA-2010 trucks. It’s constantly monitoring the emissions from its refrigerated trailers. All refrigeration units are programmed with Thermo King’s Cycle-Sentry, which automatically regulates the engine as refrigeration is needed. This enables Meijer to realize a fuel savings of nearly 80%, increase the life of its engines, and reduce maintenance costs. Mesilla Valley Transportation works hard to stay ahead of the fuel-economy curve, testing and even developing new technology. MVT says it is committed to running the greenest fleet in the country and setting an example for fleets around the world. The first time it measured its fleet’s overall fuel economy in 2004, the company was disappointed to see it was only averaging 6.8 mpg, lower than the 7.5 it was expecting. Today MVT credits benchmarking as a key tool for identifying and sharing best practices. Based on its most current fleet assessment, excluding independent owner-operators hired under contract, MVT estimates that its fleet is running close to 9 mpg. 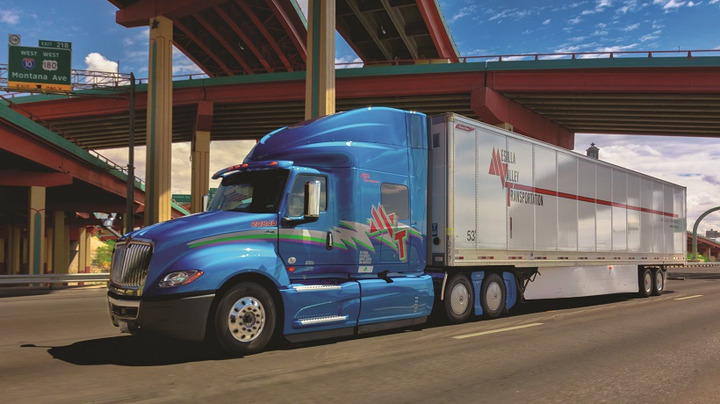 Throughout its history, starting in the mid ’80s, MVT has worked hard to stay ahead of the curve by testing new and innovative fuel-saving technologies, being an early tester and even developer of things such as tighter trailer gaps, 6x2 drivetrains, trailer skirts, solar panels, and low-viscosity lubricants. 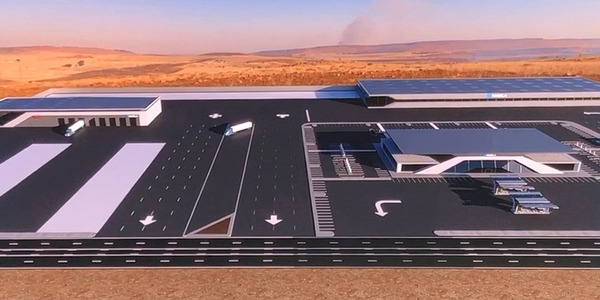 And it has extensive driver training and incentive programs to push drivers to 10 mph and even beyond. New Bern Transportation, the private-fleet subsidiary of PepsiCo, uses alternative fuels, lightweighting, driver scorecards and more. This private-fleet subsidiary of PepsiCo runs nearly 14,700 light-, medium- and heavy-duty vehicles. Of that, 267 heavy-duty and 149 medium-duty are hybrid electric vehicles, as well as 10 heavy-duty natural-gas powered trucks. It also employs strategies such as lightweighting, wide-base single tires, and aero upgrades (truck and trailer). 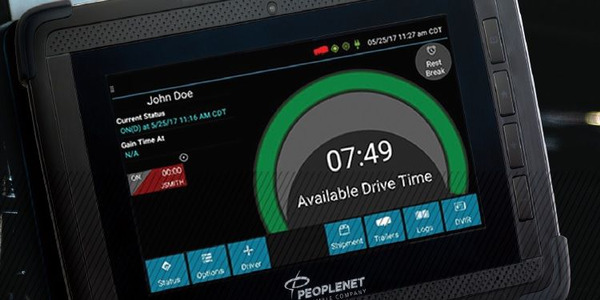 New Bern uses GPS/telematics systems to optimize performance with scorecards for idling, route optimization, fuel economy, speeding, and harsh braking/acceleration. NFI is testing electric trucks in drayage operations and uses natural gas power in some locations. With 4,000 heavy-duty tractors, NFI has implemented numerous best practices and clean technology. It’s currently testing four electric yard horse units and exploring the viability of Class 8 battery electric and hydrogen fuel cell vehicles. It also operates near-zero-emissions compressed natural gas trucks fueled with renewable natural gas and has an additional eight zero-emission pilot trucks from other manufacturers to be delivered in 2019., NFI is working with Daimler Trucks North America to test 10 eCascadias in its drayage operations at the Ports of Los Angeles and Long Beach and California’s Inland Empire. Nussbaum Transportation specs highly fuel-efficient equipment and developed its own driver scorecard to reward fuel economy and safety. 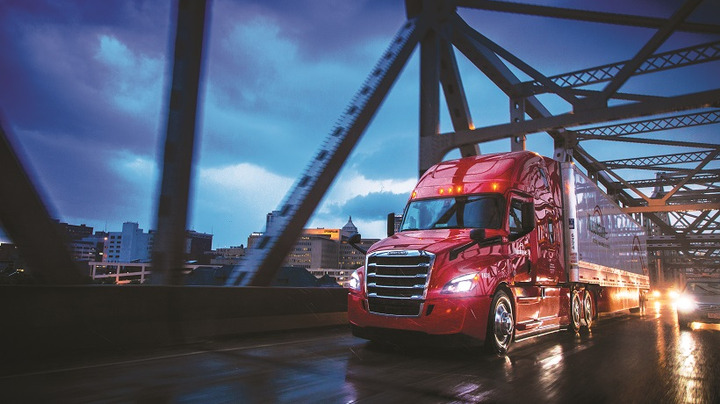 This nearly 400-truck for-hire fleet continues to spec the most fuel-efficient equipment available for over-the-road use, buying 90 Freightliner Cascadias in 2018 and 100 more in 2019, for a mix of fleet expansion and replacements for older, less-efficient equipment. Trailers are all equipped with skirts and tails, the newest of which include 29-foot skirts from Transtex, and tails from Stemco. It’s testing solar panels on tractors and auto-deploying tails for trailers. YTD fuel efficiency through August is 8.9 mpg fleetwide, with an average of 9.31 May through August. Nussbaum prioritizes safe driving habits that also improve fuel efficiency. Driver Clark Reed has acted as an ambassador for top fuel economy, including participating in the 2017 “Run on Less” road show. New York City was one of the inaugural signees to the Global Commercial Vehicle Drive to Zero pledge. 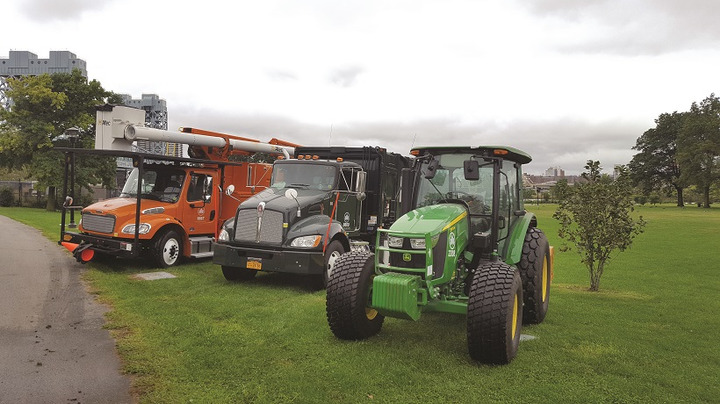 New York City operates over 30,000 owned and leased vehicles, from sedans to heavy trucks to specialty vehicles, making it the largest municipal fleet in the United States, according to the city. New York City was recently one of the inaugural signees to the Global Commercial Vehicle Drive to Zero pledge. 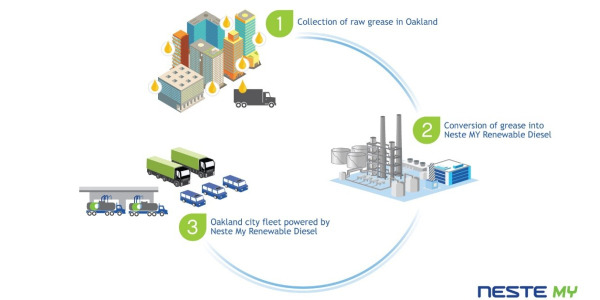 Just a few examples of its green efforts include the use of biodiesel since 2007 (including work to increase the biodiesel percentage in the blends); the Parks Department running hybrid diesel-electric work trucks; some sanitation trucks and sweepers running on compressed natural gas; and the Department of Sanitation working with Mack and Volvo to test DME as an alternative fuel as well as a new electric sanitation truck. Pitt Ohio formed a sustainability steering committee in 2011. 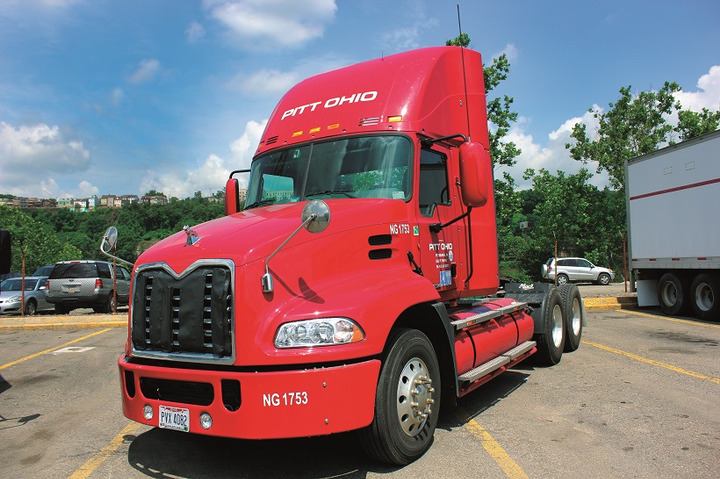 Pitt Ohio offers less-than-truckload, truckload, and supply chain services and has more than 1400 medium- and heavy-duty vehicles. It’s been focusing on sustainability in an organized way since 2011, with a multi-departmental sustainability steering committee. Pitt Ohio has implemented wind turbines and solar panels to power the dock and electric forklifts at its LEED-certified facility in Harmar, Pennsylvania. It’s working on a second LEED-certified terminal in Cleveland, Ohio, with even more turbines and solar. In addition to renewables, Pitt Ohio monitors mpg and load factor to make the most out of every mile its trucks drive and out of each gallon of biodiesel its trucks use. 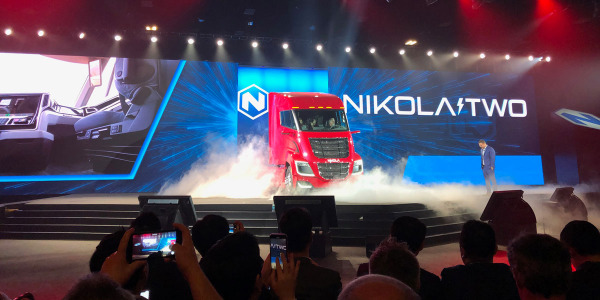 It’s also incorporating compressed natural gas trucks, and adding trailer skirts, and is partnering with the University of Pittsburgh’s Swanson School of Engineering to research and develop electric vehicles. 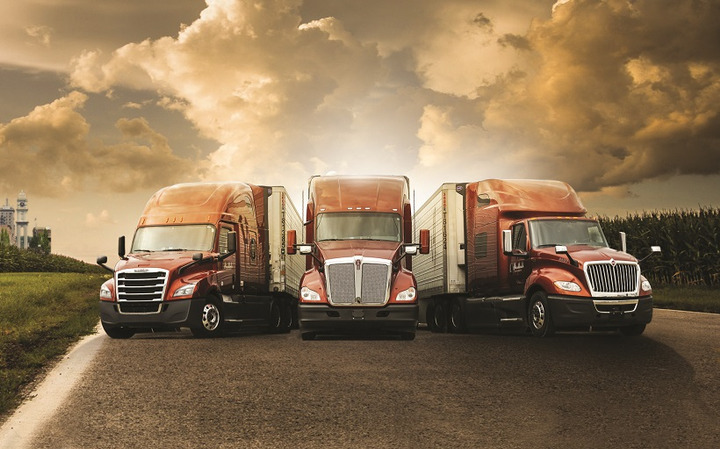 Smokey Point Distributing may have fewer aero options as an open-deck fleet, but that’s not stopping it from focusing on fuel efficiency and productivity. When you’re an open deck carrier, your aerodynamic options are fewer. 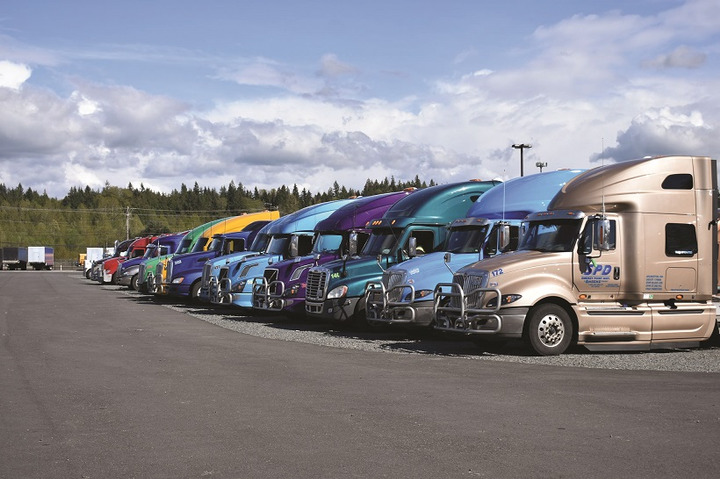 Smokey Point has only 225 trucks, but it employs a fuel efficiency specialist whose primary role is to analyze fuel efficiency and improve productivity. Idle time is a key focus, and equipment has APUs, diesel-fired bunk heaters, and 5-minute idle shutdown timers. A monthly newsletter spotlights drivers with the least amount of idle time. Close attention is paid to transmission and rear difference gear ratios, as well as tire size, when spec’ing new equipment. Sheehy Mail Contractors continues to be a leader in adoption of natural gas fuel for its trucks. This U.S. postal contractor continues to push adoption of compressed natural gas, with 85 out of its 104 trucks now powered by CNG. 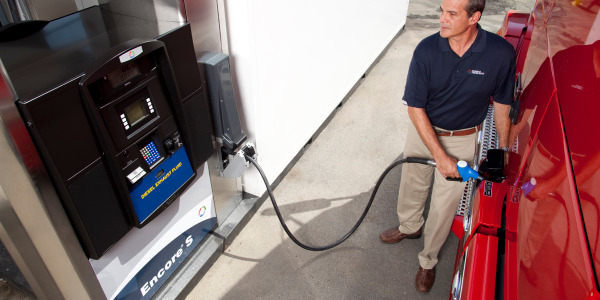 Sheehy has worked to get over 90% of its miles run on CNG. The CNG fleet has logged over 50 million miles running mostly long haul since 2013, and is currently running 12 million miles per year on CNG. 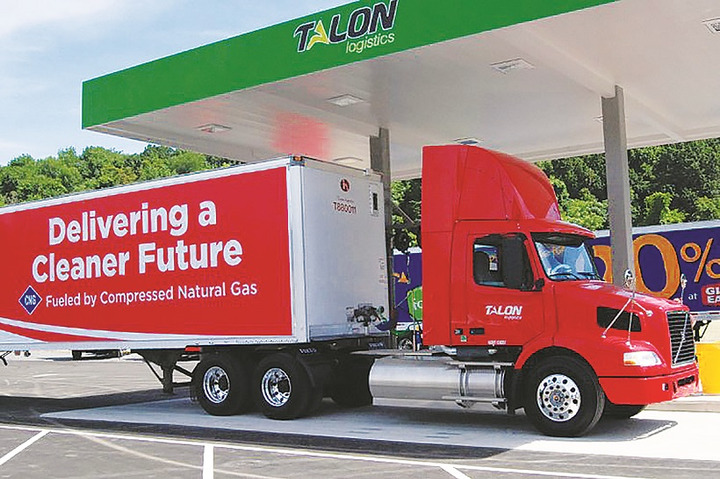 Sheehy says it has proven CNG can work in longer-haul operations, and the brand it has built around alternative energy leads to better relationships with both customers and employees. System Freight Inc. continues to improve its fuel-economy specs and also targets freight efficiency through lightweighting. 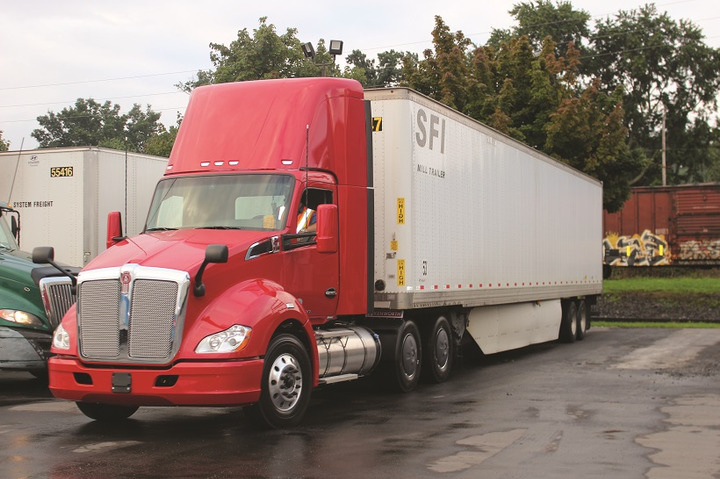 SFI continues to work on incremental gains in fuel mileage each year for its nearly 400 trucks, through strategies such as idle reduction, governed speeds, downsped engines, low-rolling-resistance tires, and fuel-efficient synthetic lubes, with a current average of 7.49 mpg. It has begun to adopt new predictive cruise control technology and Detroit’s Intelligent Power Management with rear end gear oil management. New 12-speed automated transmissions are paired with rear end ratios to keep trucks in the sweet spot. And it’s ordered 33 new Mack High Efficiency Engines with turbo compounding. Payload on dedicated fleet trucks is optimized using wedge trailers and lightweighting for 52,000-pound loads. And SFI has cut empty mileage to all-time lows by growing fleet density in the Northeast. 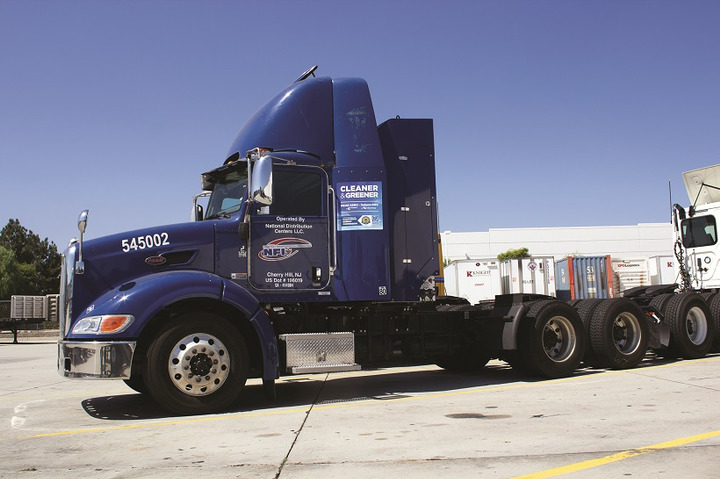 Transport Corporation of America is working to maximize payloads and freight efficiency. 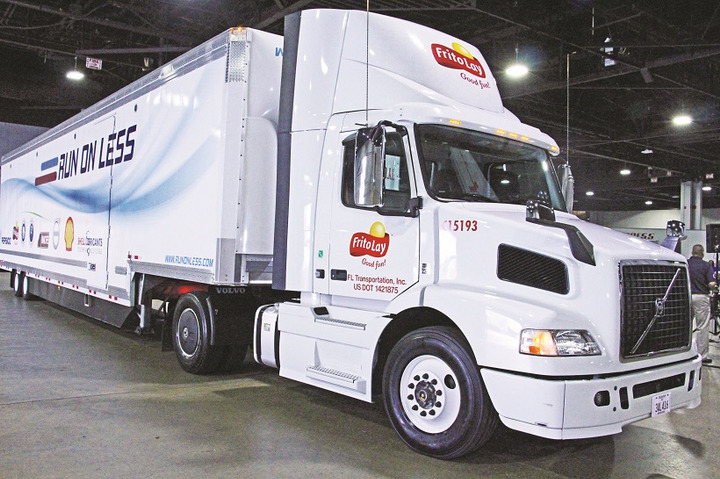 Running all its 1,250 heavy trucks on biodiesel blends is just one of the ongoing initiatives at the for-hire carrier to lower its carbon footprint. Over the past year, it has scored the highest rankings in all six EPA SmartWay categories. The company has been working with customers to maximize payloads to cut waste and run fewer miles. So far in 2018, it has increased fuel and route compliance by almost 20%. Getting drivers involved and providing extra training is key, the company says. Facilities have robust recycling programs for tires, cardboard, fluorescent light bulbs, antifreeze, oil, paper, rags, metal, and batteries and are in the process of converting to high-efficiency lighting. 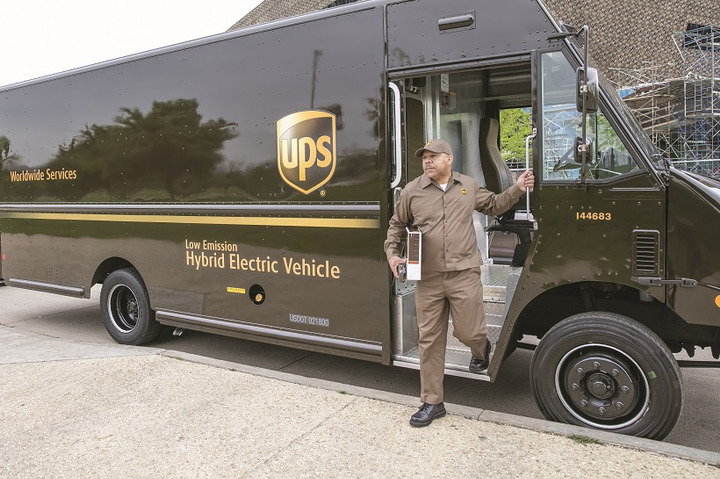 UPS continues to be an industry leader in buying, developing, and testing alternative fuels and drivetrains. 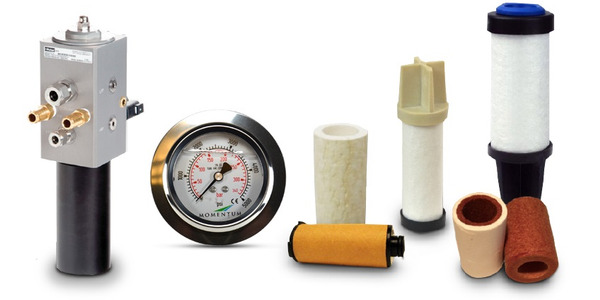 UPS continues to be an industry leader in buying, developing, and testing alt-fuel equipment. Late last year it said it had ordered 125 Tesla electric Semi trucks. It’s working with electric-truck startup Thor Trucks to develop its electric delivery truck. And it continues to up the number of trucks using tried-and-true alt fuels like natural gas; this year it announced plans to build an additional five compressed natural gas fueling stations and add more than 700 new CNG vehicles, including 400 semi-tractors and 330 terminal trucks. And it announced it’s teaming up with Kenworth for the Department of Energy’s SuperTruck II program. 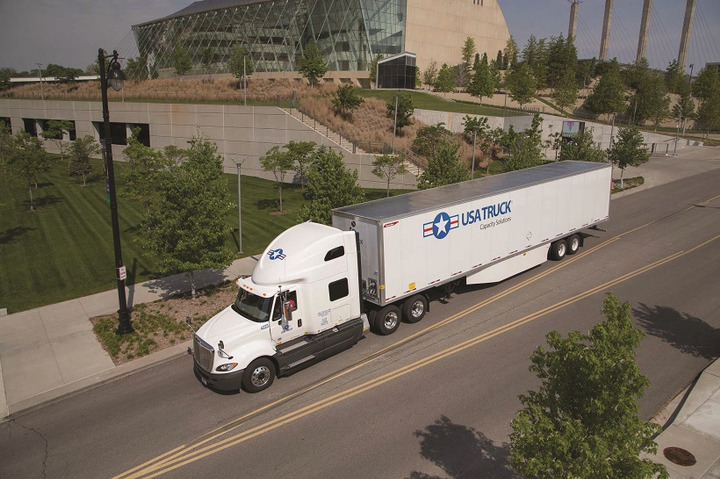 USA Truck is working to make its 1,400-plus trucks more fuel efficient, and takes recycling and conservation seriously. This for-hire carrier has more than 1,400 trucks. It’s transitioning to automated transmissions with adaptive cruise control and seeks the best possible engine parameters for fuel economy. Added tractor aerodynamics include tandem aero fairings, and fuel-efficient lubes are used in transmissions and differentials. It has replaced constant-run APUs in its latest specs with start/stop idle control systems. It’s also testing self-deploying trailer boattails. It has incorporated Lean thinking principles for how it stages equipment in the yard to prevent unnecessary fuel burn looking for equipment. USA also takes recycling and conservation at facilities seriously and has installed energy-efficient lighting in its shop as well as replacing its truck wash bay with a water-saving system. 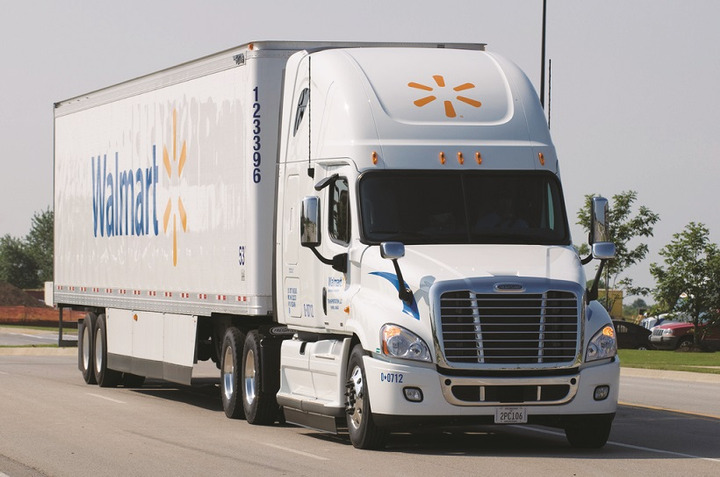 Walmart Transportation is working toward a corporate 2025 goal to reduce emissions by 18% over a 2015 baseline. 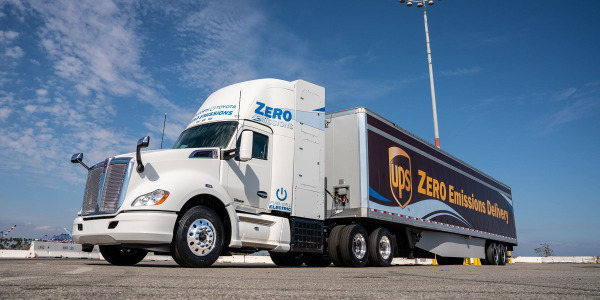 After meeting its goal to double fleet efficiency in 2015, the 6,000-plus-truck private fleet continues to focus on efficiency initiatives and vehicle testing as it works toward Walmart’s 2025 corporate goal to reduce absolute emissions by 18% (over 2015 baseline) and be powered by 50% renewable electricity. 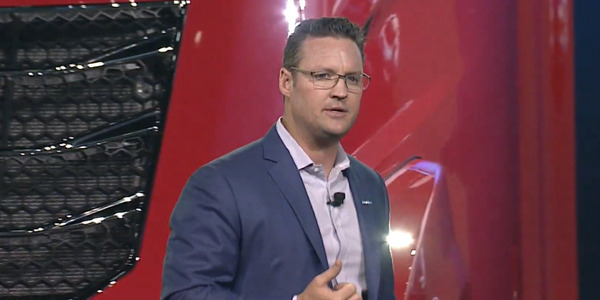 It’s doing this through driver training, accelerated tractor turnover, full aero packages for tractors, APUs, optimized routing, increasing trailer fill to reduce miles, and more. 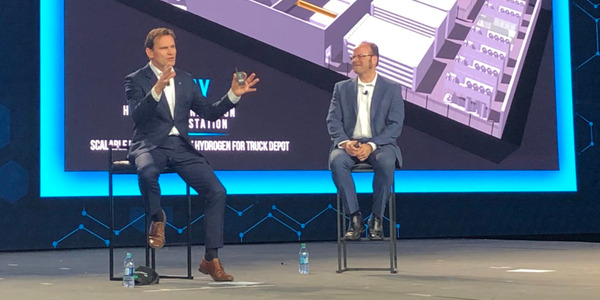 Initiatives in the works include Class 8 electric vehicle testing for both yard and highway trucks; a renewable diesel pilot in California, standby electric reefers, and alternative-fueled APUs.